Exploring the Côte Fleurie (Flower Coast)? 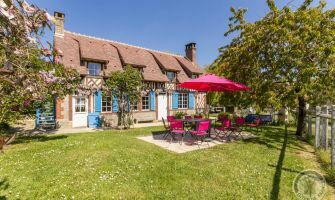 Looking for holidays or weekend breaks by the sea in Normandy? 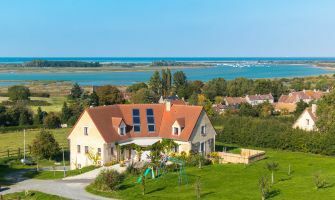 Whether you'd like to go horse riding in Deauville, swimming in Trouville, cycling in Cabourg, eating out by the sea or go shopping in Deauville, stay on the Côte Fleurie in Calvados. 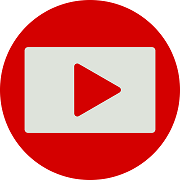 You will be able to go to the casino in Deauville, book a B&B room with a sea view in Villers-sur-Mer, go to the cinema in Cabourg, wander round the fish the market in Trouville, watch the rally raid of the Flower Coast in Blonville-sur-Mer or go shellfish picking on the beaches of the Côte Fleurie in Normandy. The Côte Fleurie also includes Honfleur where your will be able to get away for a weekend in an authentic and artistic town with art galleries to visit and seafood to savour around the Old Harbour. The Côte Fleurie holds numerous firework displays and has a packed programme of varied events, you will find something to do in Deauville, Cabourg or Trouville. Conveniently located, you can get there via the motorway A13, the train station or the airport in Deauville. 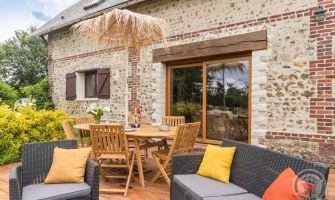 With you family, your loved one, with or without the kids, or with some friends, do not wait any longer to book a holiday cottage or night in a B&B on the Côte Fleurie with the Gîtes de France Calvados. Browse all the main attractions and places to visit on the Côte Fleurie!